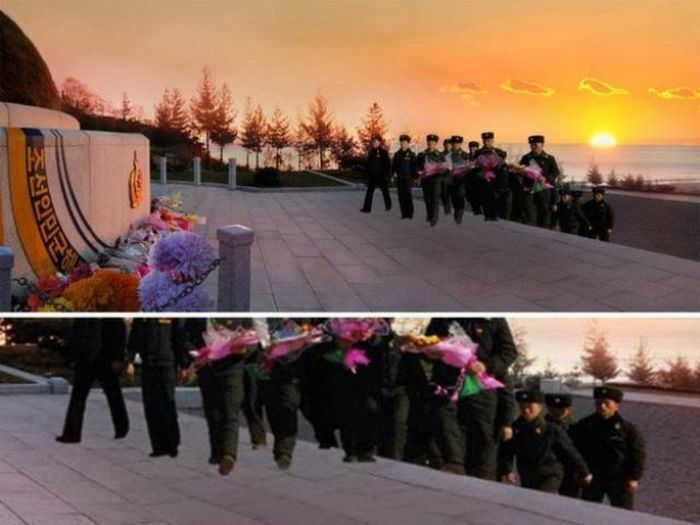 A photo from the Nov. 18 issue of North Korea’s labor magazine forgot to give these soldiers shadows. 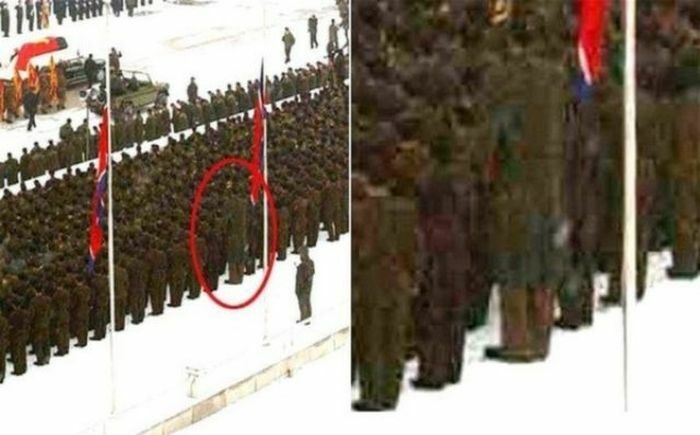 It wasn’t the first time Photoshop failed the officials of Pyongyang. 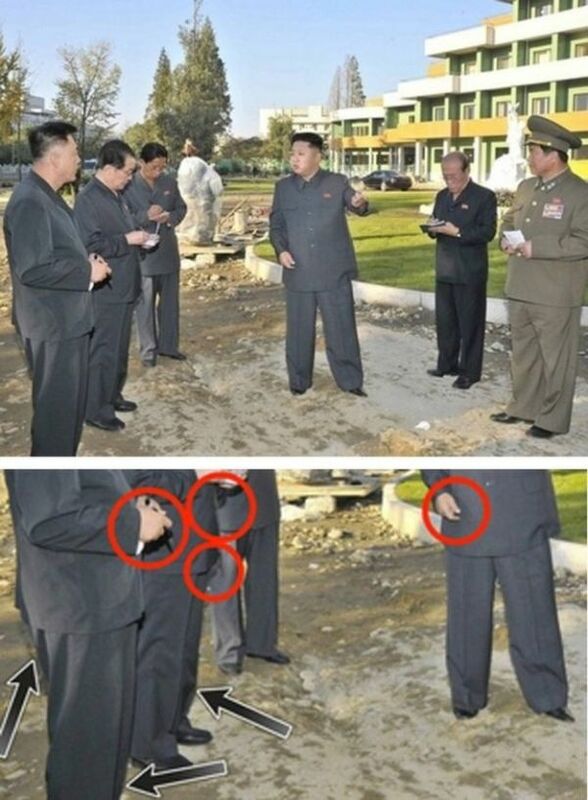 Kim Jong-un visits a children’s hospital construction site and abides by different light sources. 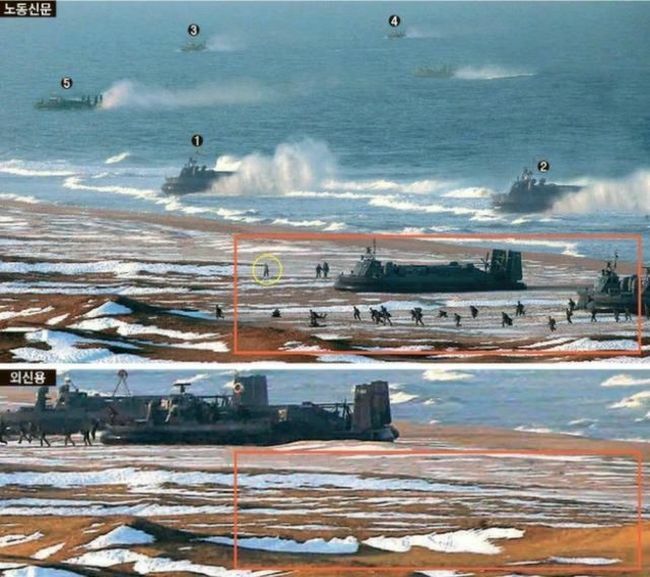 The terrain changes in two photos taken at the same day, in the same location. 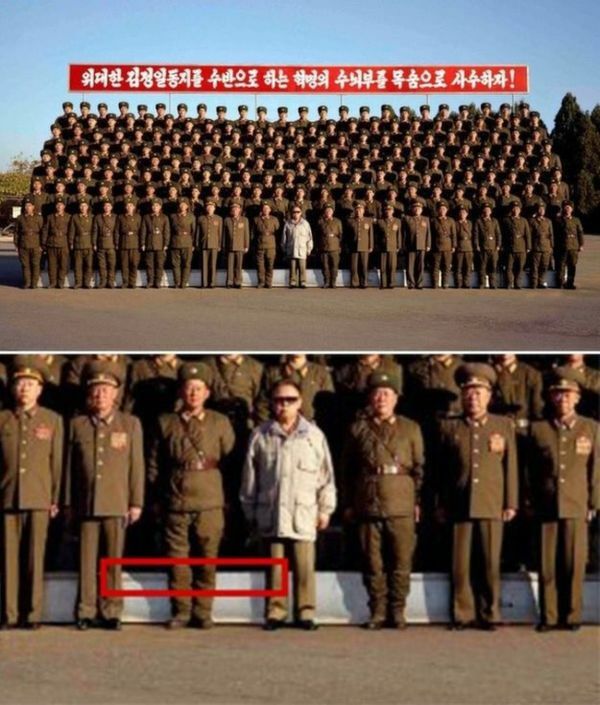 A 2008 photo of Kim Jong-il with the troops. 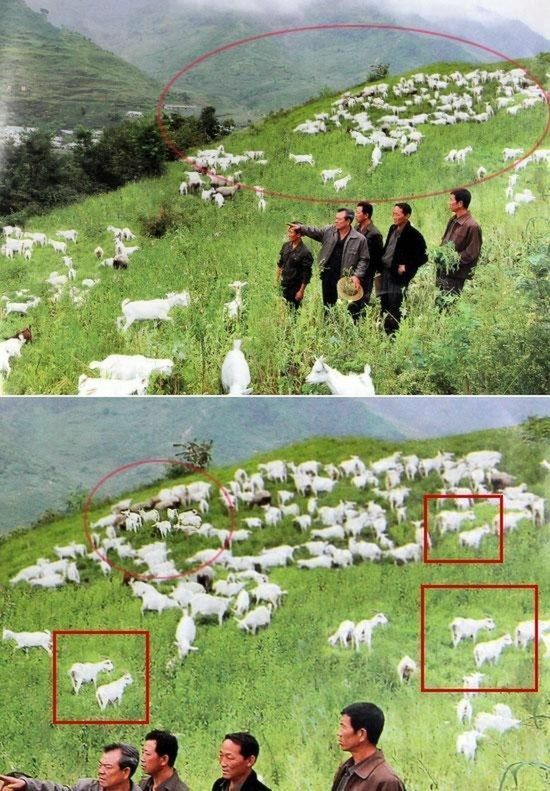 Clontamped sheep from a 2010 article on flourishing North Korean farms. 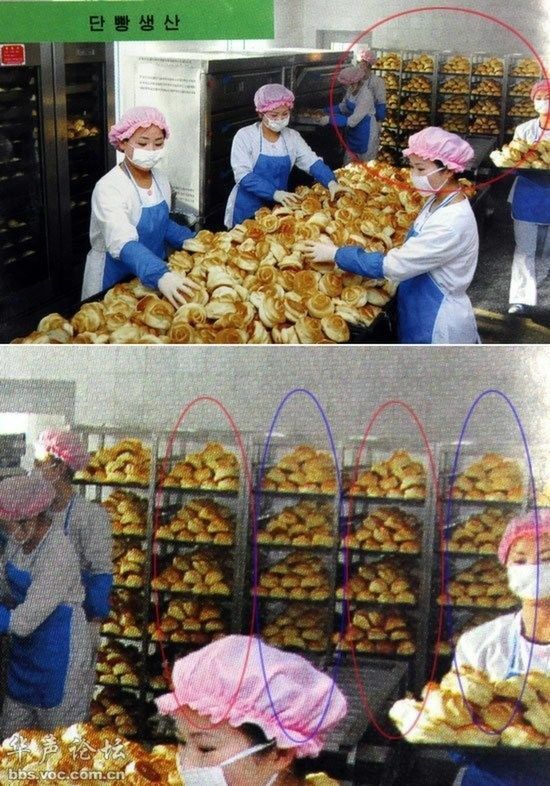 Either they’re very meticulous with stacking bread ziggurats or they’re not covering their Photoshop tracks. 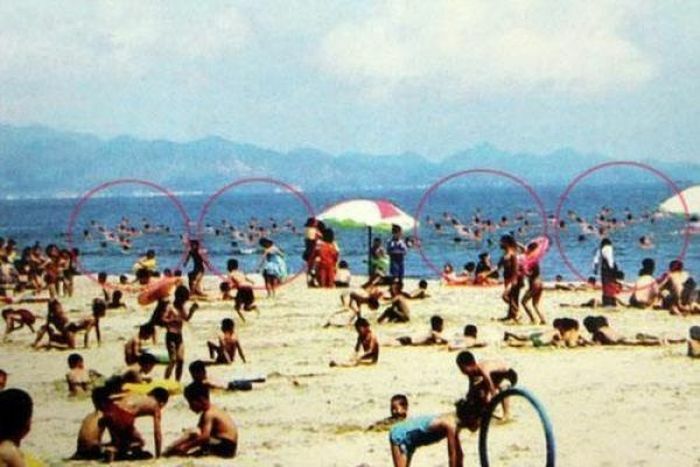 Clontamped crowds frolicking in the ocean. Tallest dude on Earth (though our readers point out this could be a legit photo of Ri Myung Hun, a 7’8” basketball player). 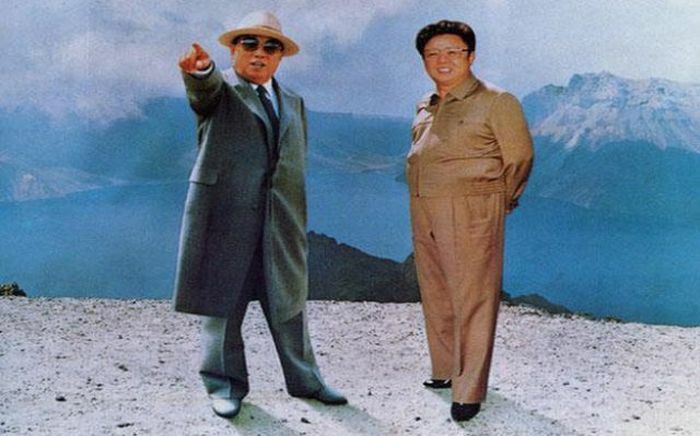 In 1995, official press releases memorialized Kim Il-sung’s death with this doctored photo of father and son standing on a mountaintop. What the hell is 'Clontamped'? 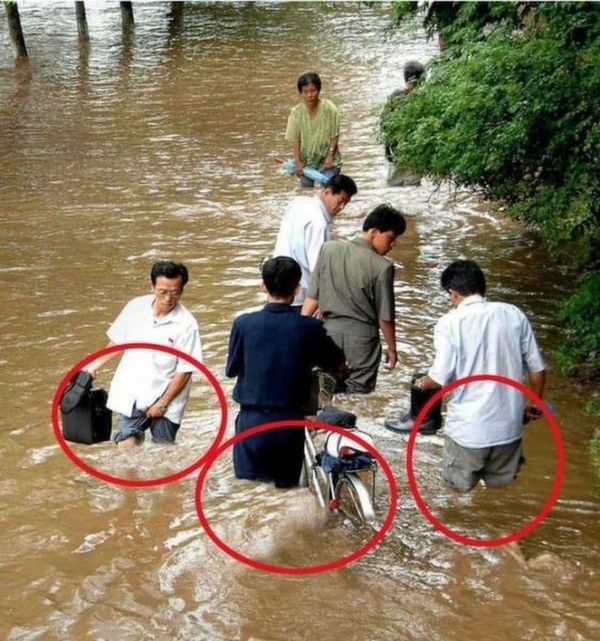 Yes, a place that does bad photoshop has to be a terrible place.